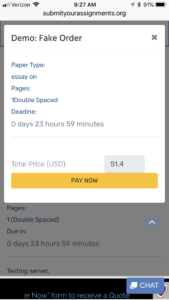 What’s Happening: You have 2 or more assignments and want to submit a bulk order, so that you do not have to make multiple payments. 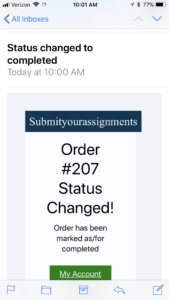 Answer: We advise against placing multiple orders as one large order, this could lead to confusion on what is expected for the assignment. 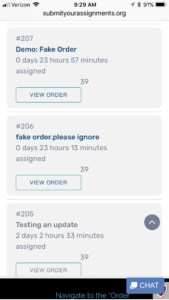 These types of requests are subject to cancellation. 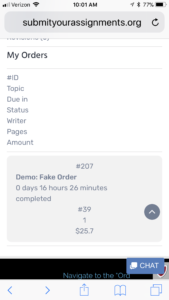 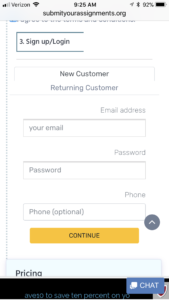 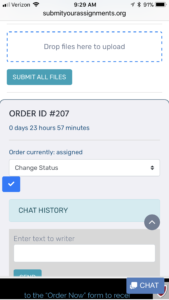 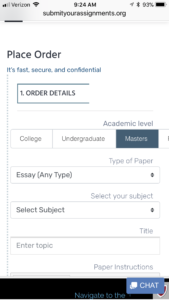 You can have the same writer for all of the orders, by selecting “preferred” writer and typing the writer id, or merely requesting that in the instructions if you do not have a writer id. 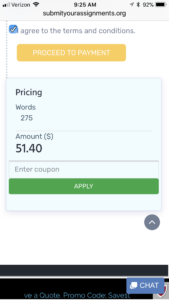 How can i find Promo Codes, or get Discounts?